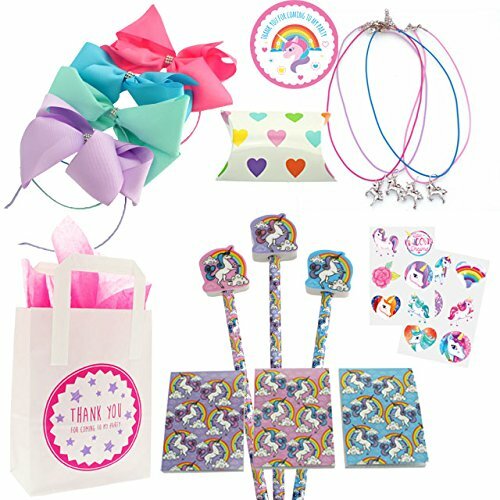 Let us do the hard part for you with our selection of party bags for any kids party with our Funtabulous gifts and treats! Just pop in a bit of cake to keep the kids smiling! We have £2 per child Party Bags and Deluxe Party Bags £4 each. Please ask for more images to be sent to you of all themes. A couple of examples are below. There would be a delivery fee of £7 and they are delivered to your home address the week before the party. 50% Deposit required – minimum 7 days notice with full payment 1 week before the party. Bouncy Balls, Bubbles, Gliders, Toys, Stretchy-Man Toy, Slinkies, Stickers, Tattoo Transfers, Fairy Wands, Colouring Books, Crayons, Haribo, Smarties, Chocolate, Love hearts, Chewy Sweets to name but a few! We can theme them too! For Superhero Parties, it would be Superhero Stickers, Superhero Tattoos & Superhero Gliders, For Princess Parties, it would be Princess Stickers, Princess Tattoos & Princess Gliders etc & Themed Bags. 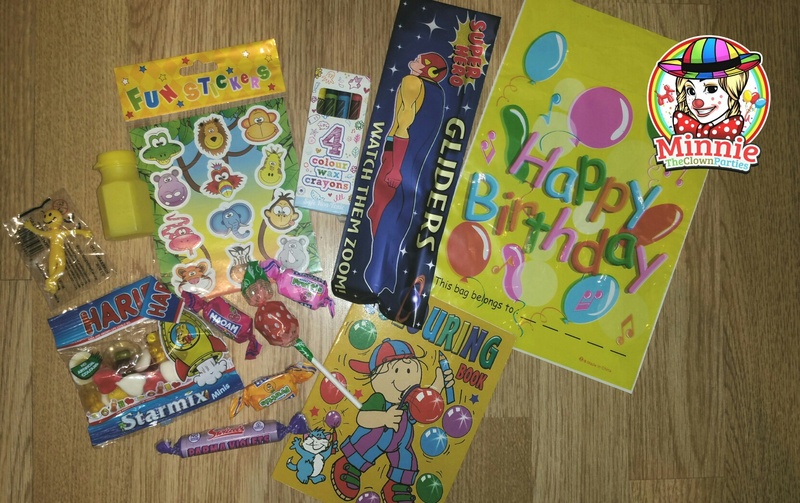 Gerneral Themed, for example, would have Animal Stickers, Dinosaur Gliders, Emjoi Tattoos etc & General Happy Birthday Party Bag. GBP Remaining Balance for Your Party Booking. Please include any travel that was specified & Party Bags Total (if any). Final Amount can be found on your invoice. Thank you again for booking with Minnie The Clown Parties :)We will be in touch soon!